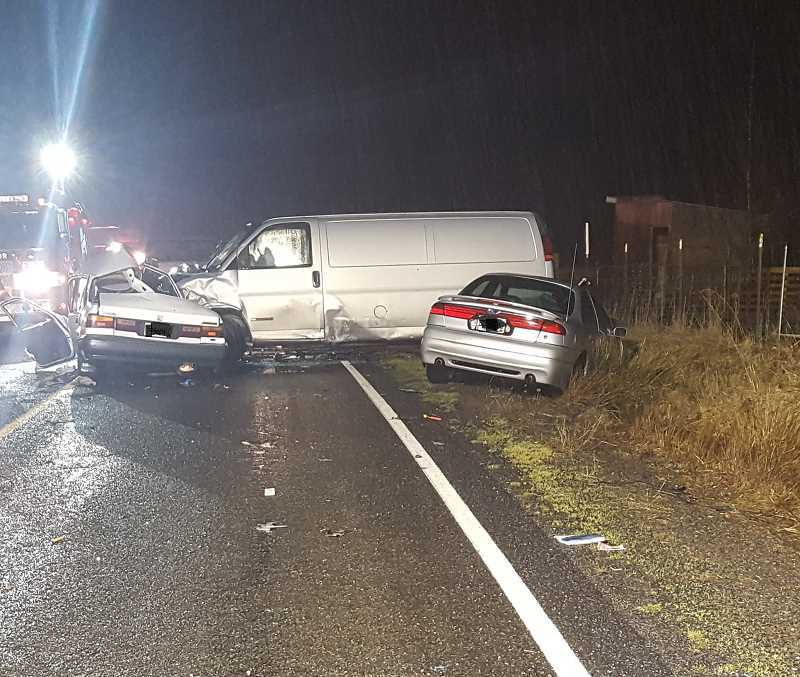 On the rainy evening of Friday, Jan. 18, a three-vehicle crash on Highway 211 resulted in one fatality. All others walked away from the scene. Oregon State Police and emergency personnel responded to the crash near milepost 3 at approximately 5:45 p.m. Friday, according to a press release from Oregon State Police. The incident began when the driver of a Honda Accord, heading south on the highway, lost control of their vehicle and slid sideways into the northbound lane, said police after an initial investigation. Illia Burigin of Canby, who was driving north in a Chevrolet van, could not avoid the Accord, and per police, the vehicles collided. Moments later, Steven Furlow of Mulino, in a Ford Contour, was also unable to avoid the crash, and slammed into the van. As a result of their injuries, the Accord driver died at the scene. OSP will release the name after they can confirm that family has been notified. Both Burigin and Furlow walked away without being transported to hospitals after the crash. OSP noted heavy rains were falling in the area at the time of the collision. OSP was assisted by the Monitor Fire Department and ODOT.